It's been a great week, albeit busy. 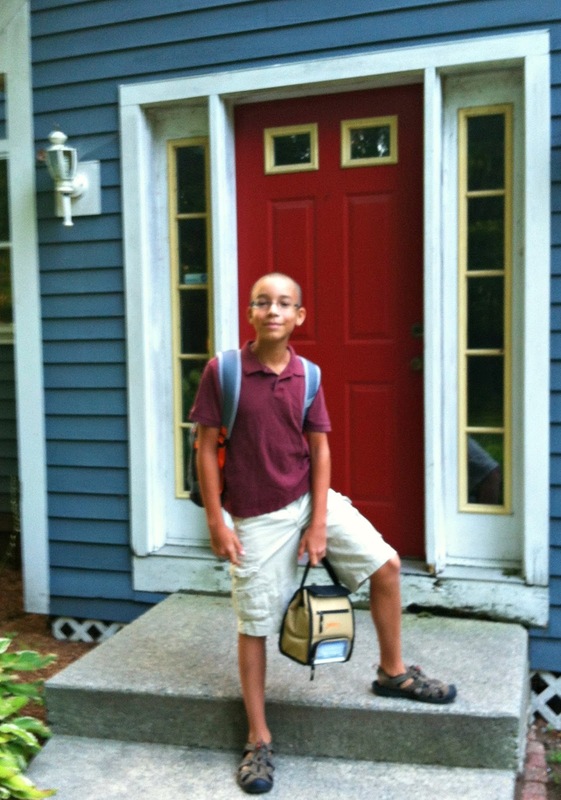 Got my son ready to return to public school. I'm not gonna lie...after a year of homeschooling, I had some anxiety about this on so many levels...was he ready? did we cover enough material in sixth grade? did I give him enough social interaction over the year? will he like being back in school? will he like being at a new school in a new town and a new state!? and so on !!!!!!! 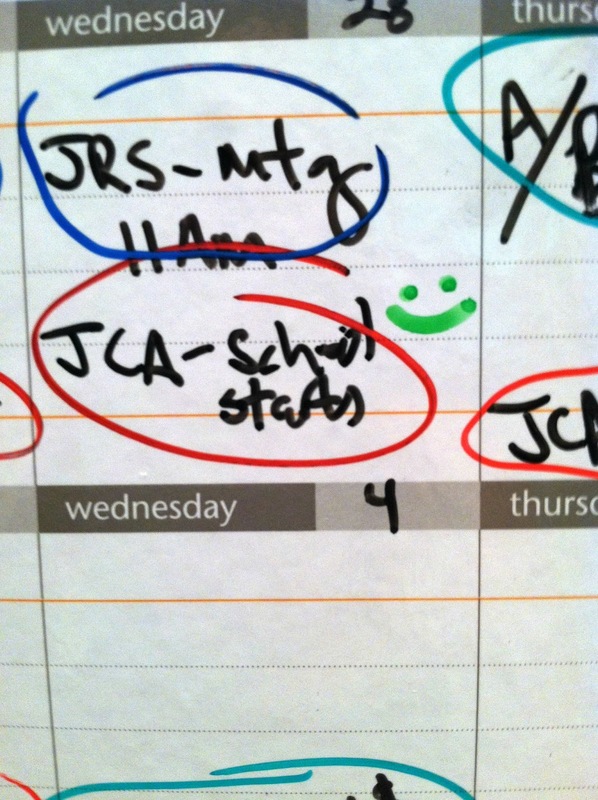 But after the third day of school, I found this little green smiley face on the calendar that he put there, next to the post about school starting! All reports from the student himself, suggest he's enjoying his new school quite a bit! Been taking some classes to learn how to use my Adobe creative suite software better, and having lots of fun with it! 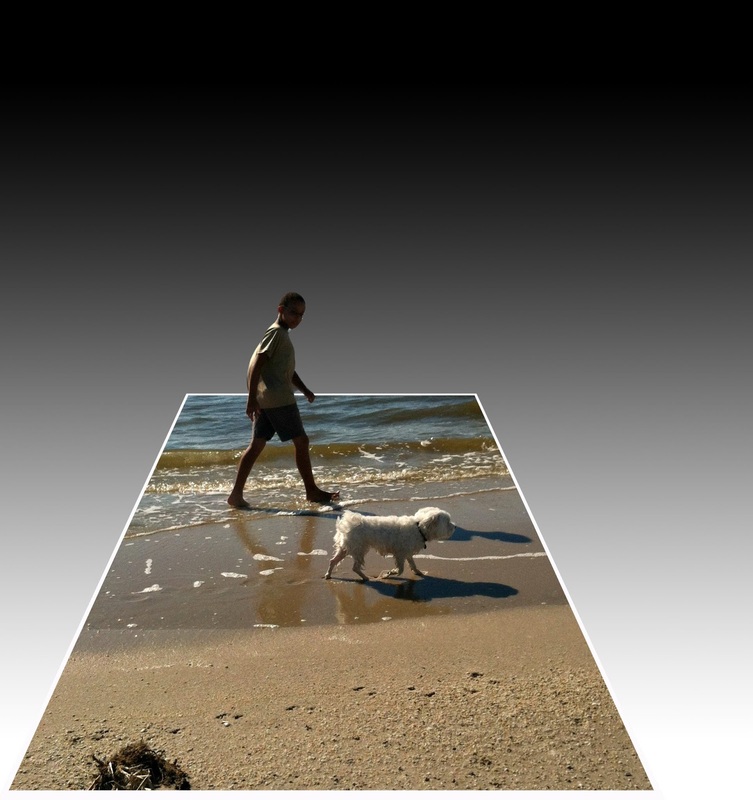 My son with our dog Molly on the beach! 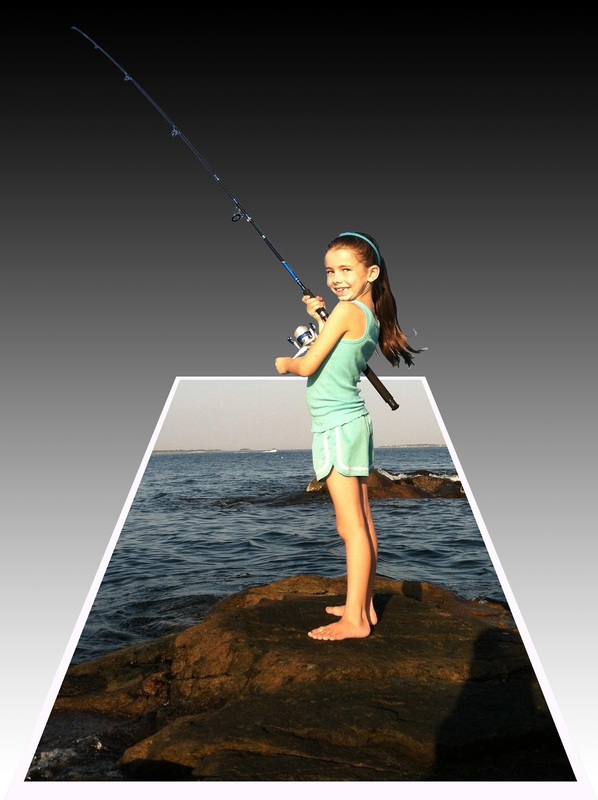 My niece fishing on the coast of the Atlantic. And thankfully have been squeezing in a little time for beading. I was fortunate to receive some more fabulous bead from ZNet Shows and combine them with some that I already had. I just loved the blue color of the sea glass rings combined with the teal crystal! Loved this toggle, however, it didn't function properly and I've since replaced it with a copper lobster claw clasp! I think I'm the only person who abjectly refuses to change from calling it beach glass to sea glass. lol Very pretty! And I love the new photo effects! Wow that is exceptional, I love the sea glass, and your design is amazing! Love the photos! I love the necklace! It's really beautiful and in some of my favorite colors. Those pictures are fabulous!! I REALLY need to learn how to use Photoshop. I'm sooo glad that Jackson is enjoying school! It's a wonderful feeling to know they are happy with their school. Have a great weekend. The necklace is amazing. It is so beautiful. I love it. It reminds me of relaxing it is to be at the beach. I am back home in Sweden from Denmark and I can admire Your beautiful necklace.The Sea Glass Rings are charming in connection to the copper ovals.Fantastic colors and the modern look. Oh My goodness, Amy~that necklace is incredible! I really love the color and the design of the woven/glass going in and out of the metal links. Beautiful! How is school going for your son? Hope the week went well. Those photo edits are too darn cool!!!!! Love that pop off the page. I'm greatly admiring the jewelry AND the photographs! Nice work! That necklace is fabulous -- I mean, really fabulous! I love combining seed beads with other media and you made them work so well with the glass and chain -- it is a great combination. The photos are also awesome. That 3d effect is cool.